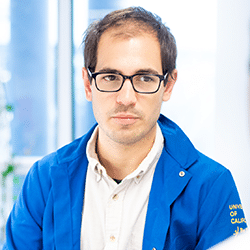 Join Theo Roth as he describes his lab’s novel CRISPR-Cas9 genome-targeting system that does not require viral vectors to modify T cell genomes, but instead focuses on HDR. This allows rapid and efficient insertion of large DNA sequences at specific sites in the genomes of primary human T cells, and permits individual or multiplexed modification of endogenous genes. Importantly, avoiding the use of viral vectors will result in accelerated research and clinical applications, reduce experimental cost, and improve safety. A novel method that allows for the insertion of large DNA sequences (>1Kb) without a virus! Current efforts at reprogramming T cells for therapeutic purposes rely on using recombinant viral vectors. Unfortunately, viral vectors do not target transgenes to specific genomic sites. Moreover, the manufacturing and testing of effective viral vectors is often a lengthy and expensive process, which slows research progress and clinical use. However, recent studies have shown that re-engineering T cells in a specific and efficient manner is possible using homology-directed repair (HDR).